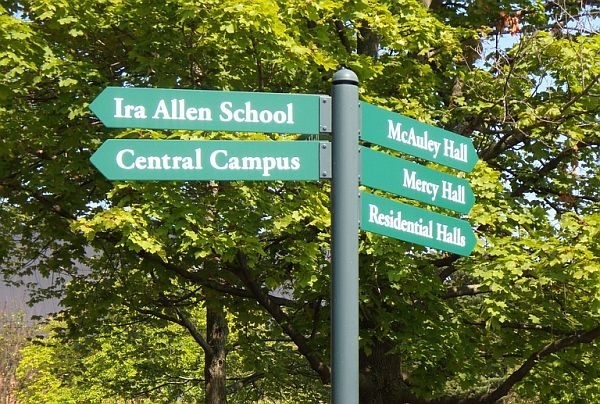 Over the past decade, the University of Vermont has undergone a building boom, dramatic growth in the student population, and a budget downturn has led to layoffs. Now, UVM is at a turning point. "Whenever you have growth like that and economic problems, especially for Vermont, you pay the price" says Frank Bryan, a longtime UVM political science professor. VPR News takes stock of the university and its future in this special three-part series. Listen Tuesday, Wednesday and Thursday this week at 7:50 a.m. during Morning Edition and 5:20 p.m. during All Things Considered. What should be the future of UVM? And what should the university be looking for in a new president? Let us know in the comment section below, on our Facebook page or on Twitter.